Sashin Kandhai is a choreographer, dancer and actor born in Durban. He is the winner of the online Bollyshake Bajirao Mastani Dance Championship (2015). 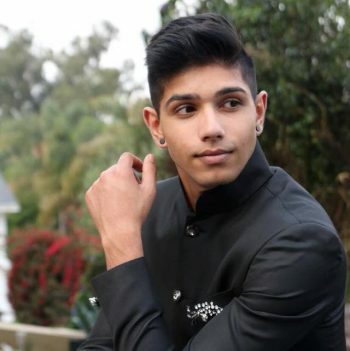 Winner of Jhalak Dikhla Jaa South Africa (2016) and winner of Dance Deewane Johannesburg (2018). Sashin has shared the stage with Bollywood superstars like Ranveer Singh, Priyanka Chopra and Madhuri Dixit under the training of Bollywood choreographer to the stars Geeta Kapur. With over 11 million views on YouTube and 45 Thousand subscribers, his cover of Laila was listed in the Top Trending videos of 2017 by YouTube India. A Bachelor of Social Sciences graduate from UKZN, Sashin joined the Oriental Fire team in 2016 and is now a full time performer and choreographer with the company. Tina is Oriental Fire’s creative director and manager. She is an Australian who was born in Hong Kong and grew up travelling the world with her missionary parents, finishing her schooling in Japan and has lived in every continent besides Antarctica. She’s been performing on stage since the age of five and loves acting, singing and dancing and has a background in musical theatre and TV. She fell in love with Bollywood and Belly Dance in Uganda which she considers her other home and has been choreographing and teaching it for 12 years. 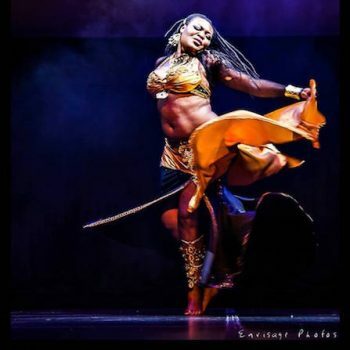 She’s attended countless workshops with many International master Belly Dance teachers including Jillina, Bozenka, Ansuya, Heather Aued, Karim Nagi, Kami Liddle, Sharon Kihara and takes as many opportunities as she can to learn and grow as an artist. She’s also featured and choreographed for various music videos.She is a keen aerial artist specialising in aerial silks and loves giving her performances a theatrical twist. Highlights include performing for multiple ambassadors, the prime minister of India, African royalty and performing at events with local and international celebrities including Bobby van Jaarsveld, Kurt Darren, Corlea, Elvis Blue, Vidya Vox, Adnan Sami, Zee TV stars, Rubber Duc, Freshly Ground and Prime Circle. Thelma Rose is Oriental Fire’s Belly Dance choreographer and instructor. Thelma started her dance life in 1998 with Caribbean style dancing. In 2007 she started and focussed on Oriental dancing under the instruction of Cara, Aviva and Akasha consecutively where she has been pursuing knowledge and skill in Egyptian style oriental dancing and attended workshops with international master teachers. She has been featured on the cover story of issue 9 of raqSAfrica magazine in 2011. In 2010 she coached the Miss India SA 2010 on her winning talent piece. She has also been featured in a local music video as a dancer. She has often been a guest performer at various annual studio showcases and gala shows of international festivals. She was crowned as the first ever South African Drum Solo Queen in July 2014 which is always a showstopper. She is currently one of the judges of the upcoming Miss Belly Dance South Africa 2019. Johannesburg born Jitesh Ranchod developed a love for dance at the age of 5. 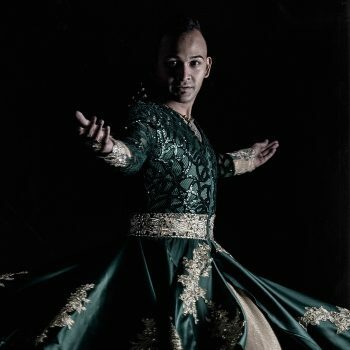 He began with Hip Hop and later took to Bollywood and Kathak, training with and working with Oriental Fire since 2016. Jitesh has performed with international artists such as Zee TV serial stars Shabhir Aluhwalia, Arjit Taneja and Karanveer Mehra. He also opened for bollywood playback singers Mika Singh, Udit Narayan and international singing sensation Vidya Vox and Neha Kakkar. Natalie’s performance career began in 1999 when she joined Jazzart’s Professional Dance Company in Cape Town. Natalie trained in contemporary, tap, rhythm and gumboot dancing, as well as contact work. In 2005 She ventured to Santiago, Chile, where, as a representative of Jazzart Dance Theatre, she taught dance to disadvantaged children. It was here, in Cerro Navia, that Natalie began training as a circus artist and teaching as a choreographer with Circo del Mundo School and Company. Upon returning to Cape Town in 2006, she joined Zip Zap Circus as both a performing artist and teacher. As a professional aerial performer and contemporary dancer. Natalie has a certificate in events management and over 10 years’ experience in the management of a performance company, and has an extraordinary ability to integrate circus arts and dancing. In 2007, Natalie was one of the initial aerial artists for Madame Zingara Theatre of Dreams. Since then, Natalie has been performing in shows both locally and internationally. Since 2015 as Director of Art of Synergy, Natalie is involved in providing training to all levels of performers passing on her knowledge and creating new artists, as well as perfecting aerial technique in the advanced aerial students. Natalie is the choreographer and artist manager for Art of Synergy. 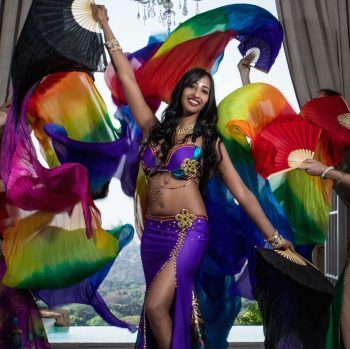 She has now added Bollywood and fire dancing to her repertoire and has been performing with Oriental Fire since 2016. This petite, small-town girl was born into a family that loves to dance, and believes that she learnt her first rhythms in the arms of her parents. Self-taught in the Bollywood style from the age of 6, she started performing from the age of 9, and choreographed her own performances from the age of 12 to well-loved North and South Indian songs. Now a UP Psychology Honours Graduate and working-woman, she still loves the magic that dance brings to her life. Always keen to learn new dance styles, Sumeshni joined Oriental Fire in 2015 as a student and hasn’t looked back! She has since developed a deeper love for Bollywood and classical styles, as well as a new-found passion for Belly dance and performing with fire. She has performed with Oriental Fire in South Africa, Zimbabwe, and Swaziland at corporate events, weddings, parties, festivals and in concert with the international star, Vidya Vox. Sumeshni cherishes dance as a divine art form and strives to embody its beauty in every performance. Chrystal is a well established Belly Dancer with a wonderful stage personality. Her flawless technique and graceful style is a perfect addition to any event. She’s performed in many belly dance stage productions with Goddess Divine, Nova Nouveau and Oriental Invasion- All Stars to name a few. She’s trained with many international belly dance teachers and is a resident dancer for Moroccan House and other Middle Eastern venues and always gets a great response from the audience. Cherri has performed at various functions and restaurants in Africa and formed part of the team who represented South Africa and won first place at the 2013 Montenegro Dance Festival in Montenegro Europe. Cherri whilst demure exudes elegance, grace and panache in her performance…She personifies the epitome of her craft. Nerisha Balkaran is originally from the friendly city of Port Elizabeth. Her qualifications include ND Journalism, Human Resources Management, Project Management and is a qualified Indian Classical Dancer with training in other genres including Bollywood, Contemporary, Hip Hop, Pole Dancing, Fire Dancing and Belly Dancing. She graduated from Geetanjali Academy of the Arts, where she received accolades for Most Dedicated Dancer and Best Dancer. She co-founded her own company called Triya Dance Company (PE based), and performed at many cultural, corporate and government events, and participated in many dance festivals including PE Harbour festival, Splash festival, PE Opera House Dance Festival and the Grahamstown Eisteddfod. She also competed at the National Pole Trix Competition 2016 where she was a gold medalist in her category. Some of the highlights of her dancing career was performing for and meeting Nelson Mandela and travelling to Chennai, India in 2005 to study dance over a period of 3 months. Since relocating to Johannesburg in 2014 she joined Oriental Fire Entertainment as a professional dancer and has also been pursuing an acting career through Just You Model and Artist Management. She has had the opportunity of working with some local celebrities such as Carlo McFarlane, Danine Naidoo and Christopher Japhta. As a dancer, she feels that fitness is a vital aspect for all artists and is also a Personal Trainer with the well known company Kat Fit Functional Training. Esti has been belly dancing for 15 years and performing professionally for 12. 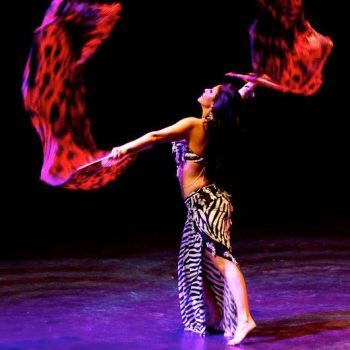 She is experienced in Egyptian Cabaret belly dance, Turkish, Saiidi, Khaleeji and Tribal Fusion. Comfortable with a variety of props; Isis wings, veils (including LED), finger cymbals (sagat/zills), fan veils, sword, fire and Moroccan tray balancing, she adds a star quality to any performance. Esti has been to Egypt and Turkey and has trained with a variety of well-known bellydance legends. She has attended workshops with Mahmoud Reda (Egypt), Bozenka (USA), Liza Laziza (Egypt), Jillina Carlano (Bellydance Evolution producer). She has performed all over the country in various type of shows including various group performances at local shows and has been featured in a live South African TV game show and Kyknet Maatband. In 2014 she was invited to Lebanon for 2 performances one of which included dancing for a beautiful wedding venue. Esti loves performing which is obvious when you watch her dance. She enjoys being creative and inspiring which she skilfully shares with her audience. Able to masterfully work with a wide array of belly dance props, Esti’s fan veil skills add beauty and variety to any event. Belly dancing for 10 years and performing for 7, Tammy is a seasoned performer with a sparkly stage presence. Her favourite belly dance styles include Egyptian Cabaret, Folkloric and Tribal Fusion. Tammy has attended workshops with Farida Fahmy (Egypt), and Mahmoud Reda (Egypt) and Keti Sharif (Egypt) while in Egypt, as well as a drumming workshop with Karim Nagi (USA). Having trained with other well-known dance schools before joining Oriental Fire, Tammy is an experienced dancer with great audience appeal. A playful and friendly person with a beautiful smile, Tammy exudes warmth and loves to engage with the audience when performing. She loves the freedom of expression that belly dance gives her and is excited to share her passion with the crowd, getting them up, dancing, and having fun! Tammy’s all-time favourite is the Fan veil. Whilst she enjoys performing with a number of interesting props, the beauty of the fan veils as they swirl through the air adds to the ambience and beauty of the performance. 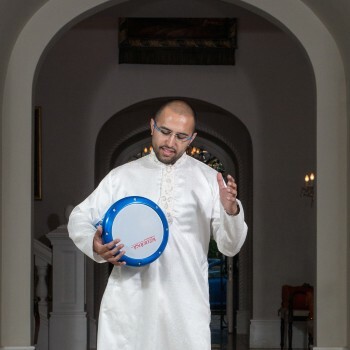 Vivek Parshotam, a master percussionist, started playing tabla at an early age of 5 with his dad Kiran Parshotam, Vivek has over the years accompanied many local and international artists and the highlight of his musical career is when he played at the Royal Albert Hall in the United Kingdom with world reknowned Nasheed singer Zain Bhikha. Till today Vivek keeps his musical journey at heart and drives it with passion over the World!